Between Instagram, Facebook, Flickr and Twitter, you probably have a lot of photographs that you’ve uploaded to the web. It becomes a pretty unwieldy task trying to keep track of all your images in so many different places. While there have been a few sites to pop up that aim to merge the experience, making it easy to access all of your online photos in one place, few do it as well as Stipple. With Stipple you can connect your Instagram, Flickr, Facebook, Twitter, Google+ and Etsy accounts, import all your images from these services and upload images directly from your harddrive to the site. Rather than just store them in one centralized location, Stipple also gives you some pretty impressive organizational tools, social sharing tools and more. You can sign up for a free Stipple account by connecting to anyone of the supported services listed above, or you can simply go the old school way and sign up using your email address. Once you’re logged in, the first thing you’ll want to do is connect a few of your accounts to get some images into your Stipple account. The process is pretty painless, and hundreds of images are imported in a matter of minutes. Getting familiar with Stipple, you’ll find that the main menu is divided into 5 main sections. At the very top, you’ll see your own profile photo – clicking on that will take you to your profile page. Next comes the ‘Browse’ button where you can view content from other users you follow on Stipple. Your Library is your private collection of photos. Under Sites, you can connect your own websites to Stipple, making it easier to drive traffic to your sites through the images that are shared from it, and lastly you’ll find Products. Here, Stipple offers you the option of connecting your eCommerce sites and allowing you to catalogue your products on the site. Browsing Stipple for the first time, you’ll find that there’s already content being shared with you. This is because Stipple autofollows 8 accounts for you. While this is a little annoying, you can simply unfollow them if you’re not interested in the content. To start sharing your content that you’ve imported, you can head over to your library. As we mentioned, any content you import will only be accessible to you until you ‘Stipple’ it – or in other words, ‘tag’ it. Tagging on Stipple goes much further than just choosing keywords. You can add a title, description, and include URLs to videos on YouTube or Vimeo, locations on Google Maps, links to Wikipedia entries, or even more images from around the web. Stipple tags become a handy way to embed even more information about each image, allowing you to tell a comprehensive story about the image with links from around the web. There’s no limit to how you can use this feature. If you’ve imported photos of a meal you had a restaurant, you can include links to the restaurant website, Yelp reviews, and its location on Google Maps. If you’ve taken a photo of an interesting location while on holiday, you can share more information about the places you visited. If it’s an image of a product, you can link to where it’s available for sale, and so on. To tag an image, just hover over it in library, and click the little plus sign in the bottom right hand corner, and then click anywhere on the image, and the tag box will appear. These images will then begin to appear on your profile. Alongside your tagged images, your profile also displays how many followers and friends you have, as well as featuring individual tabs for your sets of images – so you can not only tag your images, you can organize them in neat sets. It also features an individual tab of reposts – allowing you to share images posted by other users on Stipple, as well as photos you’ve liked. Each individual photo can be reposted, commented on, liked, and can also be shared to other social networks, or even embedded using the handy HTML embed code. 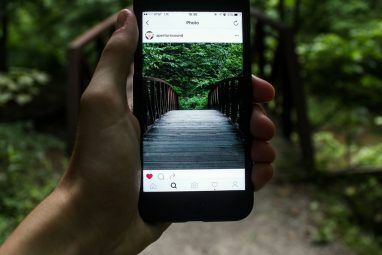 It’s also worth noting that images shared to Twitter show up as embedded media, making it another way of selectively (and manually) sharing your Instagram images with your Twitter followers Instagram And Twitter Integration: What Are Your Options? Instagram And Twitter Integration: What Are Your Options? 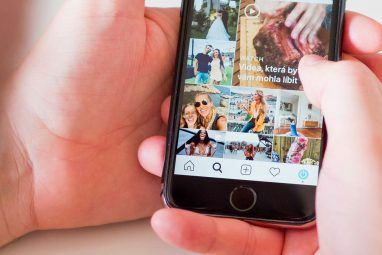 With Twitter and Instagram now in a position of rivalry, since Facebook bought the photo-sharing app, the pair have slowly been killing off ways in which users can integrate their Instagram and Twitter experiences. Instagram... Read More . 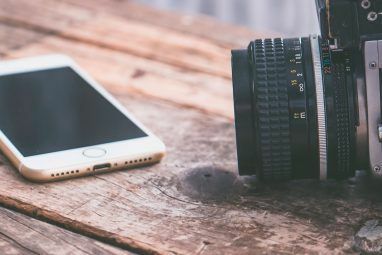 If you want to share images from your website, you can either embed the HTML code manually, or if you’re using WordPress, you can install the free plugin. Stipple also provides instructions for Blogger, Tumblr and Drupal users. You can choose to automatically share images with your Stipple followers, or like your other imports, share them individually. Stipple is a great way to get your online photo collection organized, but beyond that, it also provides another means of driving traffic to your site, and understanding how other users interact with your images. Each image comes with its own set of statistics, letting you know how many clicks and embeds it received, how many people checked out your tags, and more. For the photographer selling images online, for a marketer selling a product online, or for a publisher trying to better understand what kind of content is engaging readers, Stipple becomes a very useful tool in understanding what it is about your images that is getting the viewers attention. If you’d rather get all your photos from the web saved onto your computer instead, be sure to check out our in-depth guide here Quick, Easy Ways To Download Photos From Facebook, Flickr, Instagram, Google+ & More Quick, Easy Ways To Download Photos From Facebook, Flickr, Instagram, Google+ & More With the amount of information we post online, we're putting an awful lot of faith in third party services to keep our content and photos safe. Between Facebook, Flickr, Instagram and Google+, there's no limit... Read More . What do you think of Stipple? Let us know in the comments. Explore more about: Flickr, Instagram, Photo Album, Photo Sharing, Photography. Windows Phone does this by default (for some online services). For example, the photo collection on my HTC Radar comprises all my photos and images from Facebook and Skydrive (as those are the only two services I mainly use for storing images) - but, signing in to other accounts and adding further photo editing/sharing apps in turn adds more albums to your collection. Otherwise, it's always a good idea to keep copies on physical hard drives, just in case like. Very nice! Very nice, indeed!! Stipple is a GREAT little app. I love what & the way it does it. Cooliris is a good app on iOS for this too! Nice to see there's another service offering something similar but on the web. One upon a time I was all the time using new services and applications. but my idea was changed when i trusted gawab.com and registered for it. They come to business and you put your everything there and tomorrow you see that nothing exist and they end every thing with an excuse. So I won't trust on any of them and won't use such a service until a big player like Microsoft, Google, amazon do not launch it. I know that Microsoft, Google and other have also discontinued lots of products but they give you several months before they stop serving you. Might be a good product but only for testing how it works. One smart cookie... :) Now that this app has gone south like many others!